Former Microsoft Chief Executive Steve Ballmer has taken a 4 percent stake in Twitter Inc, according to his spokesman, making him the third-biggest individual shareholder in the social media company. Ballmer’s stake is worth more than $800 million based on Twitter’s $21 billion market value. Only co-founder Evan Williams and Saudi billionaire Prince Alwaleed bin Talal have greater stakes among individual investors. Shares of Twitter rose 5.6 percent to $31.34 on Friday, hours after Ballmer tweeted from a non-verified account that he built up his stake over the past several months. His tweet lauded Twitter’s new ‘Moments’ feature, which curates the best tweets of the day, and Dorsey’s appointment as permanent CEO last week. Twitter declined to comment. Ballmer himself did not return requests for comment. 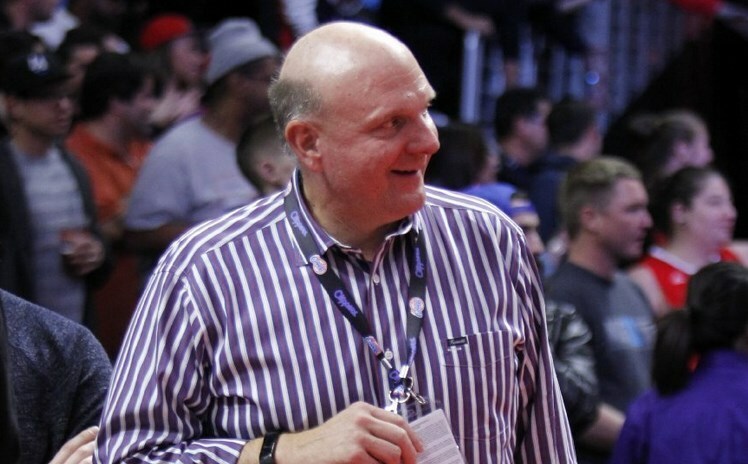 Ballmer, who bought the Los Angeles Clippers basketball team after retiring as Microsoft CEO in February 2014, has a personal fortune of about $21.5 billion, making him the 35th richest person in the world, according to Forbes magazine. However, his backing as an investor is no guarantee of success for Twitter. Ballmer famously laughed at Apple Inc’s first iPhone, and shares of Microsoft declined over the 14 years of his leadership. Ballmer now owns more of Twitter than co-founder and CEO Dorsey, who has a 3.2 percent stake, according to Thomson Reuters data. Williams is the largest individual shareholder with about 7.5 percent, followed by Alwaleed with about 5.2 percent. Like @alwaleedbinT move too,” Ballmer’s tweet said. Alwaleed and his investment firm, Kingdom Holding Co 4280.SE, said earlier this month they had raised their stake in Twitter to more than 5 percent. Ballmer’s investment is a sign that Twitter’s efforts to revive growth under Dorsey is being appreciated, Monness, Crespi, Hardt, & Co Inc analyst James Cakmak said. “I think it’s just another point of evidence that the step that they are taking to redirect the business toward growth is resonating,” Cakmak said. Twitter has made several new announcements since Dorsey, who also served as CEO in 2008, returned on a permanent basis last week. On Tuesday, Twitter said it will lay off about 8 percent of its workforce and on Wednesday, it hired Google Inc (GOOGL.O) executive Omid Kordestani as executive chairman. FBN Securities analyst Shebly Seyrafi said Ballmer’s stake could be indicative of widespread confidence in Dorsey and his strategy.